Carl Linnaeus, known as the “Father of Modern Taxonomy,” came up with the binomial (Genus, species) naming system for plants in the mid-1700’s. During his lifetime he named close to 8,000 plants (as well as animals, including Homo sapiens). Linnaeus used many of his supporters and detractors as inspiration for naming plants. The most beautiful of plants were often named in honor of his supporters and his detractors often supplied the names of common weeds or unattractive plants. 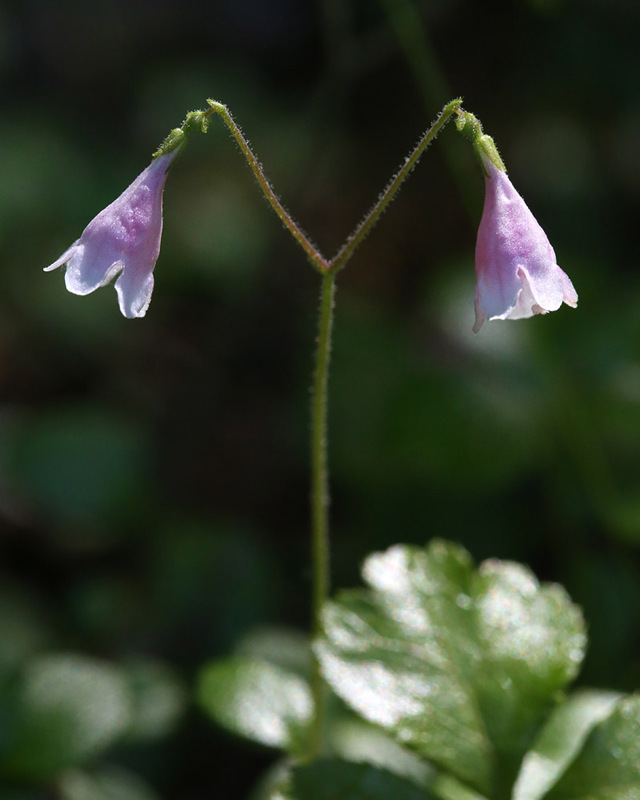 Twinflower, Linnaea borealis, was reported to be Linnaeus’s favorite plant, and was named by his close friend and teacher Jan Frederik Gronovius in honor of Linnaeus. This entry was posted on June 23, 2015 by Mary Holland. It was filed under June, Linnaeus, Taxonomy, Twinflower and was tagged with Jan Frederik Gronovious, Linnaeus borealis. Mary – I love the way you weave such interesting history (natural and other) into your blog with such incredible photos – this one is particularly exquisite! Thank you for brightening my day!